This new book from Rob Elliott is poised to reach and even surpass the more than 165,000 copies sold of his first book, Laugh-Out-Loud Jokes for Kids. 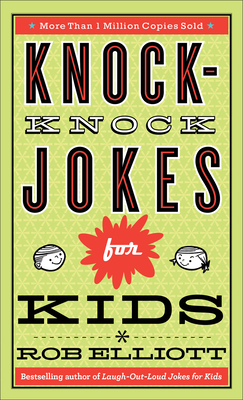 Rob Elliott is the author of Laugh-Out-Loud Jokes for Kids, More Laugh-Out-Loud Jokes for Kids, Laugh-Out-Loud Animal Jokes for Kids, Laugh-Out-Loud Doodles for Kids, and Knock-Knock Jokes for Kids, and has been a publishing professional for more than twenty years. His popular joke books have sold more than 2.5 million copies. Rob lives in West Michigan, where in his spare time he enjoys laughing out loud with his wife and five children. Learn more at www.laughoutloudjokesforkids.com.